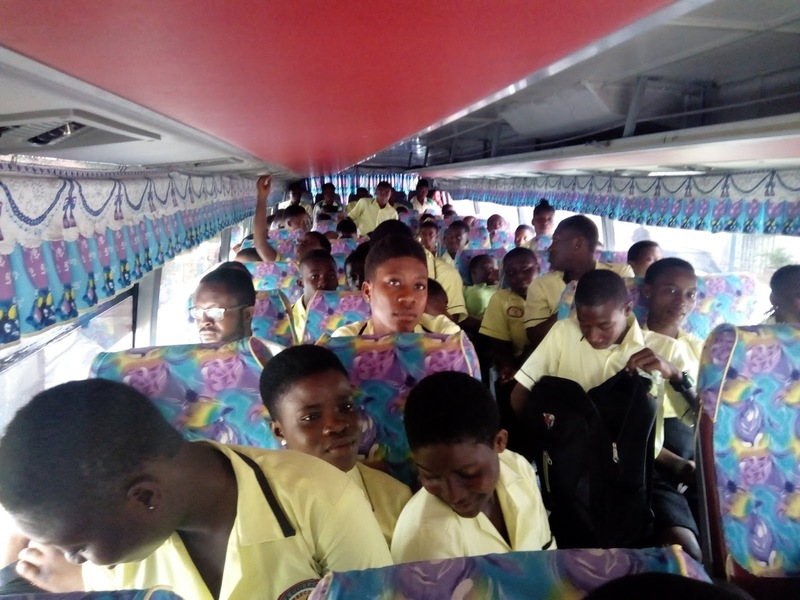 On Tuesday, 20th February, 2018, a cross section of students from Apex College, in Accra, visited the Christiansborg Castle, in Osu. The students had just left the Legislature of Ghana where they had witnessed the approval by the house of the nomination of Mr. Martin Alamisi Amidu as the nation’s very first Special Public Prosecutor. The students were made to file in two lines through the once dreaded gates of Rawlings’ Castle, with remarkably, still beautiful surroundings of the over 300 years old pre-colonial architecture. Their guide was a well-spoken lady, probably in her mid 20s. Dressed in a well tailored grey coloured straight dress, she took the students first to the very first section of the Castle, which was built in the 1600s. The land, which was acquired from the Ga Paramount Chief, Okaikoi, cost 3,200 gold florins. Standing in the Castle, surrounded by the students in a horse-shoe fashion, facing the Gulf of Guinea portion of the Atlantic Ocean, the guide spoke eloquently about the early beginnings of the construction of the Castle. She said the Danes were the first to build their Castle which they called the Christiansborg Castle after the then Danish king. The students were schooled on how in 1679, the ownership of the Castle changed hands from the Danes to the Portuguese when the Governor was assassinated by the Fort’s Commander. After four years of occupancy and the absence of brisk business, the Portuguese resold the Castle to the Danes. Then they were taken to a gallery, where the pictures of illustrious Ghanaians adorned the walls and stands. The people in the gallery were exceptional in their various fields, including sports, fashion, politics, etc. There was an early morning storm which had overturned some of the exhibits, breaking some of the glass casings. A wide opened space took the students to a terrace overlooking the Atlantic Ocean. They observed the many rubber sachets that had collected into the Gulf of Guinea that morning, confirming signals that the non-biodegradable materials collecting into the Sea are a menace to the environment. From the picture gallery, the students were taken to a room that was once the office of the former president, Jerry John Rawlings. Though the office was empty, it depicted a sense of modesty and a serious approach to duty on the part of the former president when he was at the realm of affairs. By the time the former president’s office was constructed, the size of the Castle had increased almost four times, according to the guide. The students learnt that in 1850, the Castle was sold to the British. The British had used it as a political post and the governors ruled from there until it was abandoned in 1890. 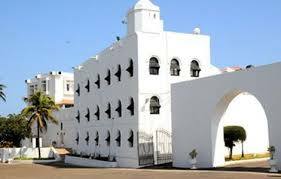 In 1902, the Castle reverted to its use as the seat of colonial administration. After the attainment of independence, the then president Dr. Kwame Nkrumah continued expanding the Castle by the construction of other blocks. In all the Christiansborg Castle remained a beautiful piece of architecture spanning several centuries. Outside again, the students were taken to the Castle gardens. A very beautiful, well kept garden. The garden used to be occupied by the local community but they were later driven away by the colonialists and since they did not want to engage in any further construction, it was decided that the place be used as a garden. The relics of the shrines of the local people are still visible. 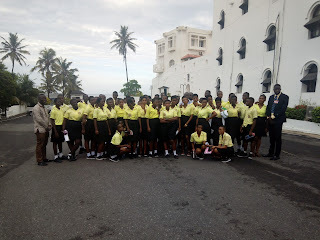 The students then took group photographs in the garden, in front of the block that used to house Rawlings’ office and in the forecourt of the Castle. Then they walked in various small groups back to their bus which had been packed outside the gates of the Castle. In all honesty, many of the students confirmed that the trip to the House of Legislature and the Christiansborg castle was a great one. They are slated to visit the Kakum National Park by the end of June.